Trilogy at Tehaleh is a new community by Shea Homes located about one hour from downtown Seattle. Set in Bonney Lake, Trilogy at Tehaleh is the first 55+ active adult community in Pierce County, Washington. This beautiful new community has plans to offer an exciting line-up of world-class amenities, as well as eco-friendly single-family homes in a variety of designs. Its prime location, just 30 minutes from Tacoma, also offers spectacular views of Mt. Rainier and the surrounding scenery. Shea Homes opened Trilogy at Tehaleh in 2012 as an age-restricted enclave within the larger Tehaleh master-planned community. The development features a scenic setting with parks and natural spaces, as well as plans for an amenity-rich clubhouse and approximately 500 single-family homes. Like other Trilogy communities, this new active adult community will focus on creating a healthy, active lifestyle for adults aged 55 or better. The planned clubhouse, known as The Post, will feature many resort-style amenities and plenty of space for socializing with friends and neighbors. Highlights of the planned amenities include a fitness center, hobby and game rooms, meeting rooms, a multipurpose room and casual dining at Caffee D'arte. The grounds will also offer scenic walking and biking trails, and a playground for visiting grandchildren. 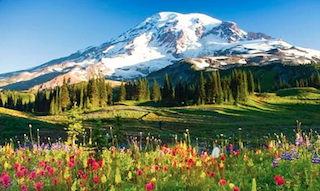 Western Washington State offers exceptional views and fantastic outdoor recreations. Single-family homes within Trilogy at Tehaleh are specifically designed with active adults in mind. They feature single-level living, open floor plans and plenty of natural light. These sunny, open floor plans provide a spacious feel along with low-maintenance living. Master bedroom suites include luxurious bathrooms and walk-in closets, while covered patios or decks offer comfortable outdoor living space. With five single-family home models, ranging from 1,454 to 2,261 square feet, Trilogy at Tehaleh's Coastal Collection let homebuyers choose the design to best suit their needs. Each model has two or three bedrooms, two or two-and-a-half bathrooms and a two-car garage. Larger designs also include a separate den. The community also offers customizable home styles in the new Shea3D collection. These home layouts are designed to be interactive, letting homebuyers choose options to fit their own lifestyle. Both the 1,863 square-foot Refresh model and the 2,132 square-foot Elate model feature a large great room that can be built with three options: Entertainment Centric, Kitchen Centric or Outdoor Centric. These options change the placement of the kitchen and living areas to optimize the space for the homebuyers' interests. 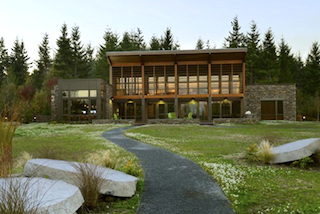 Active adults who choose Trilogy at Tehaleh will enjoy a scenic setting, a home designed to suit their needs and many soon-to-come resort-style amenities. It may just be the ideal retirement destination for those who dream of living in Washington's beautiful Seattle-Tacoma area.